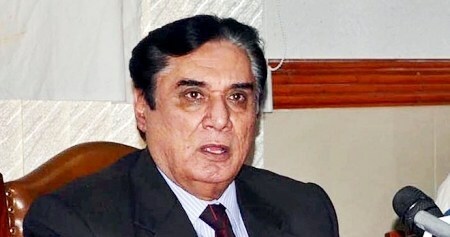 ISLAMABAD: National Accountability Bureau (NAB) Chairman Justice (r) Javed Iqbal, on Friday has stated that negligence in verification of documents in connection with London flats reference case against Sharif family will not be tolerated. In this regard, Javed Iqbal summoned Foreign Secretary Tehmina Janjua to the NAB headquarters and directed the concerned ministry to expedite the process of retrieval of documents through diplomatic sources. According to sources, Tehmina Janjua also briefed the NAB chief regarding the process of collection of evidence. NAB has sought all verified documents regarding London flats to file an interim reference against the Sharif family. The foreign secretary has been directed to hand over these documents to the NAB after completing all legal formalities.